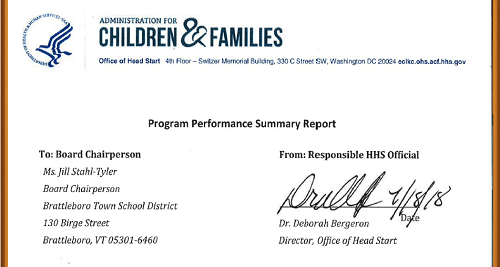 The link below will direct you to a letter we received from the Administration for Children and Families in response to the Focus Area Two Monitoring Review they conducted of our program in April. Our program did very well and we met all the requirements! Special thanks to all of you for your continued support of our program and to our staff who dedicate themselves to bringing quality early education to our children!